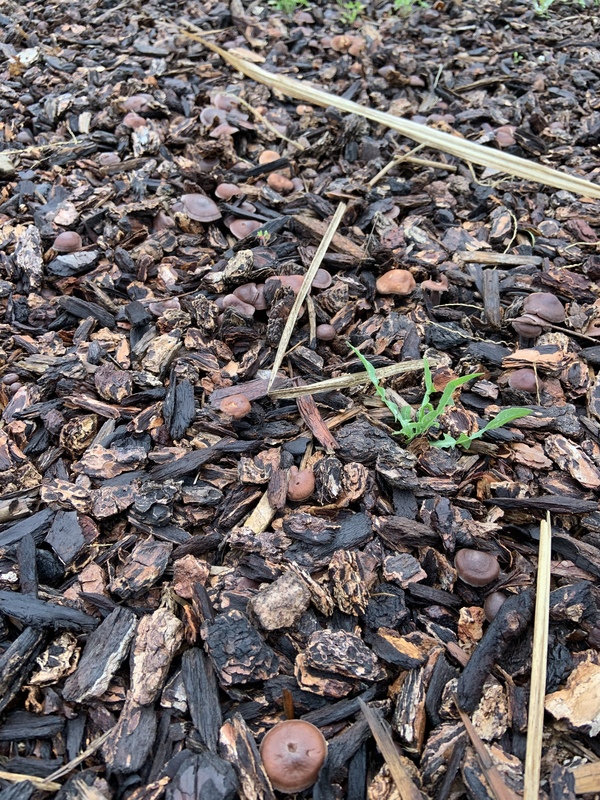 Can you spot the dozens of mushrooms among the bark? Wild mushrooms have been surreptitiously taking over our front yard. Mama and I didn’t notice them at first because they blend in with the landscaping bark. We’ve been keeping our sweet Paisley away from the potentially dangerous fungi. This afternoon I weeded as many of the little buggers as I could manage until my back said stop. Following my weed-pulling mania, I took a nice long soak in the bathtub with big handfuls of Epsom salts to ease my sore muscles. 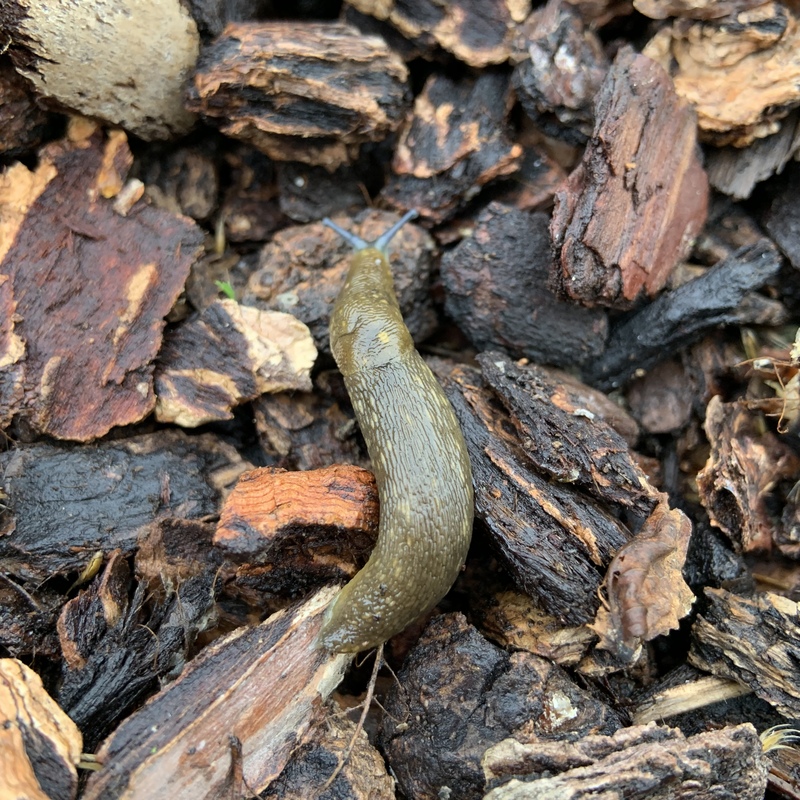 Say hello to this little banana slug in our yard! Today’s #OneGoodThing was soaking after weeding. What was your #OneGoodThing today? Please share in the comments! Day 98 of 365. And Day 1,194 in a row (here’s the first 366, & the following 365, & the third year of 365 good things)! Try to get them identified — they might be edible! You know that the mushroom is just the fruiting body of the fungus, don’t you? It’s almost impossible to kill off the hyphae under the ground. Hi Bert! I don’t think these are likely to be of the edible variety. I noticed they gave off a funky odor when I was weeding. I’m more worried about poor Paisley eating them and getting sick. But they seem to be everywhere and they camouflage with the bark. Any tips would be greatly welcome!